Describe how an artificial satellite is launched in an orbit around the earth. Explain the nature of all the possible orbits of a satellite with the help of a suitable diagram. Write a short note on electro-metallurgy. Define lanthanoid contraction. Explain its effects. What are antibiotics? Give examples. Write a short note on froth floatation. Define three moduli of elasticity. State their formulae. What are hormones? Write the structure of simple triglycerides. Write a note on Gabriel phthalimide synthesis. What are biodegradable polymers and non biodegradable polymers? Write a note on Friedel Craft’s acylation. What are neutral oxides? Explain the nature of zinc oxide with the help of the reactions. Define cell constant. Draw a neat and well labeled diagram of primary reference electrode. Explain the mechanism of cleansing action of soaps. State the first and second law of electrolysis. Write a short note on Hoffmann bromamide degradation. Draw structures of (A) chlorine trifluoride (B) chlorine pentafluoride. Mention ‘two’ uses of propan-2-one. Which specific heat of a gas is greater? Why? State any ‘six’ assumptions on which the kinetic theory of glass is based. State Kirchhoff’s law of radiation and prove it theoretically. Define complex lipids and write the structures of nucleotide and nucleoside. 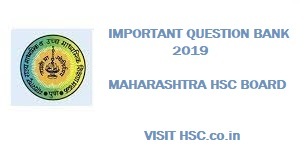 Do these mentioned questions are asked in HSC board exam…Please reply as soon as possible.I have my chem paper tomorrow!